Recently I rediscovered this gorgeous Italian inspired shoot I created the florals for in the last Cosmobride. 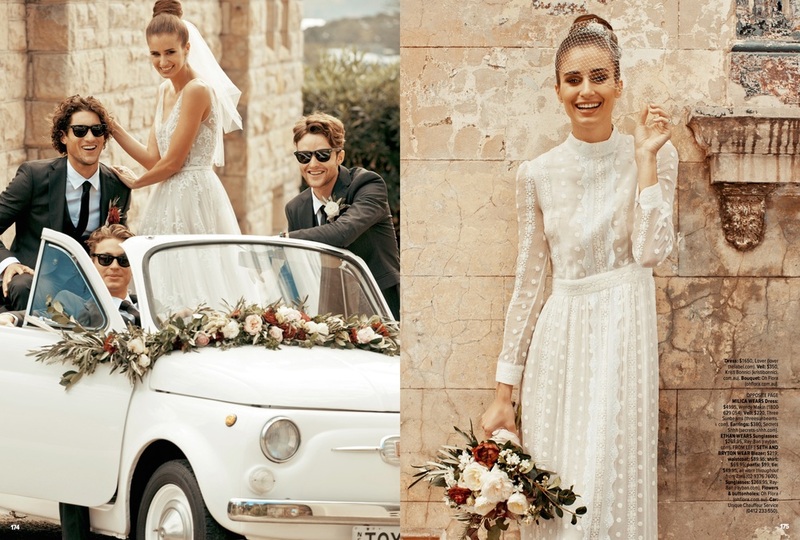 Maybe its that I have an Italian boyfriend, the fact we have pasta for dinner every second night or that we live in the 'Little Italy' of Sydney - Leichhardt, but there's just so much I really love about Italian and European styling for weddings and events. Its so timeless and romantic and gives off such an 'authentic' experience.. if you know what I mean? I'm in LOVE with the gorgeous little car they used for this shoot and the floral garland I crafted. The gorgeous Lotta from Cosmo gave me the brief and trusted me with the colours and styling of the flowers.. what do you think? I’m Tanya, founder of Oh Flora, this floral design business thats now grown into so much more! I live in Sydney with my Husband and our beloved Labrador, Cooper (he’s kind of instafamous, check out the Instagram account below). My heart is constantly pulled toward visiting new places and experiencing other cultures. Since my first overseas adventure at 21, I literally just can’t stop! Theres something that the ocean does to me that just calms my entire being - this may sound woo woo, but I think we all have that special place right? I’m a girl that grew up making things since I can remember and I’ve always be determined that I would continue to create, whatever way that would come about.. With the help and absolute support from my closest loved ones + the uncontrollable excitement I have for making beautiful events, planning parities & encouraging others to really enjoy, I have turned this into my career and I couldn’t be more grateful. I started this flower journal to share with you, my floral adventures, words, photos and the inspiring people I meet along the way! If you'd like to get in touch please send me a message from my contact page! Sign up with your email address to receive news & updates on all things floral, my travels, events & be the first to hear about my workshops!